jQuery helps you create interactive, user-friendly, and beautiful websites. For those with little CSS and HTML knowledge jQuery sounds complicated, but with easy to follow tutorials anyone can add fancy effects to their site. In this article, we will list some of the best jQuery tutorials for WordPress beginners. Tabber widget allows you to save sidebar space by combining multiple widgets into a single widget with tabs. In this jQuery tutorial you will get to learn how to create a jQuery Tabber widget as a plugin which is easy to modify and you can customize it to add any content you want in tabs. Frequently asked question pages can become lengthier and difficult to read. 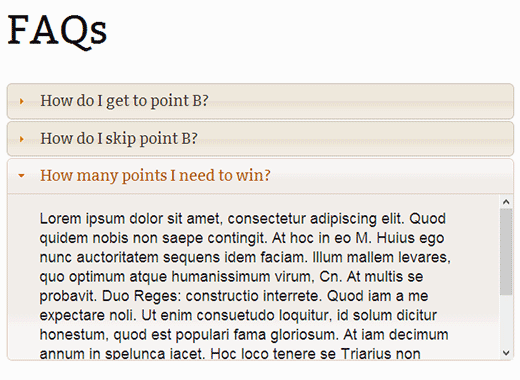 In this jQuery tutorial we show you how to create a FAQs section on your website using jQuery accordion. This creates a much better user experience as users will be able to quickly see the questions without scrolling too much. For websites which publish long form articles where a user needs to scroll a lot to see the full content, a button or link to send users back to the top of the page provides a better user experience. In this tutorial we showed you how to add a back to top button with smooth scroll effect using jQuery. Tool tips can be used to provide users instructions or useful information as they take mouse over to some element. In this jQuery tutorial we show you how to add tool tips to your WordPress comment form. 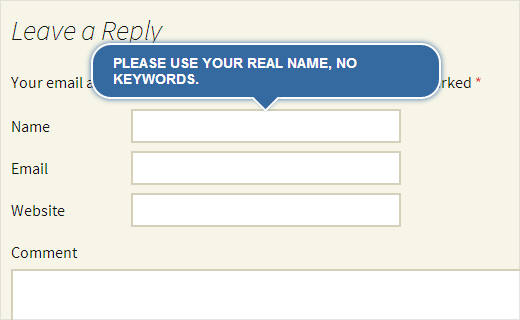 It not only looks pretty, it also encourages your users to take part in discussions on your site. 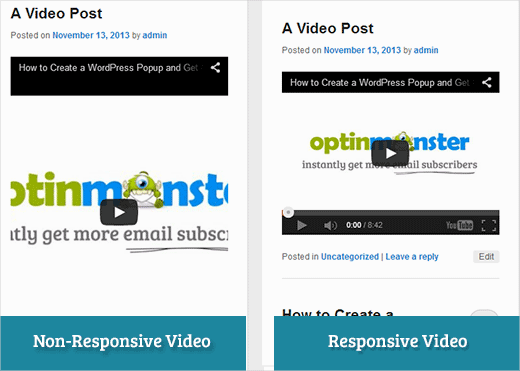 When you add YouTube videos to your WordPress site, they are not responsive by default. Even if your WordPress theme is responsive, the video container will skew disproportionately creating bad user experience for users on smaller devices and screen sizes. In this tutorial we show you how to use Fitvids jQuery plugin to make your videos responsive in WordPress. 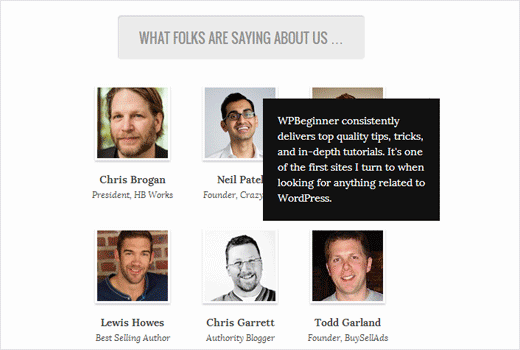 As the title suggests, in this tutorial we show you how to add rotating testimonials to your WordPress site. Very useful when you have testimonials section on your website and you want to show testimonials with neat jQuery effect. A slide panel menu appears when a user clicks on the menu button on your website. 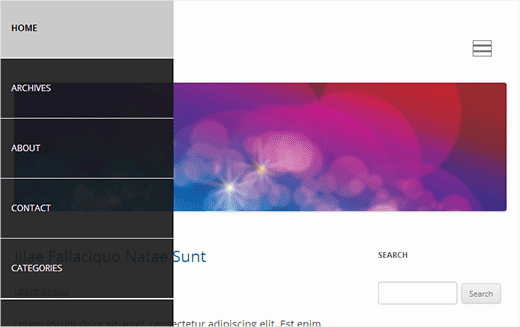 In this tutorial you will get to learn how to create Mobile friendly slide panel menus using jQuery. In this tutorial we show you how to display user testimonials in jQuery Tooltip. It is based on the code we have used on WPBeginner Videos page. Instead of showing testimonials in blockquotes it displays the testimonial text when a user takes the mouseover to the user photo. 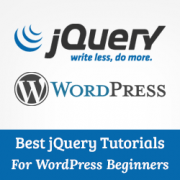 We hope that you will try some of these jQuery tutorials on your WordPress site. Hopefully this will get you started working with jQuery and WordPress themes. Let us know if there is any specific jQuery tip that you would like to see implemented in WordPress? For feedback and questions please leave a comment. Great way to getting started with jQuery-thanks for sharing. Thank you for the collection but as you know human wants are unlimited so we want more such nice, useful and easy tutorials :-). Btw if we use jquery in menu (Slide panel menu) will that be visible to search engine crawler’s or esle we have to modify the code a bit?